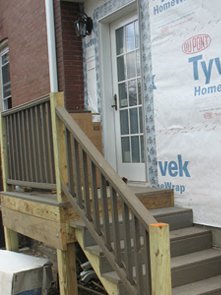 Wilkinsburg Christian Housing is a non-profit organization dedicated to improving the town of Wilkinsburg through the renovation of homes. Wilkinsburg Christian Housing started in 2010 when a long-time property owner donated two houses to Covenant Fellowship Reformed Presbyterian Chruch. This was the impetus to move forward with a vision for the community that had been years in the making. As we work in our community, we are seeking those who will join us in an on-going partnership for ministry and financial support. Wilkinsburg Christian Housing appreciates your prayers and support. Your financial contributions to WCH are tax-deductible. Below are ways you can contribute to our work. You can donate any amount securely via PayPal (and you don’t need a PayPal account). Donate a fixed amount each month, automatically, via PayPal. 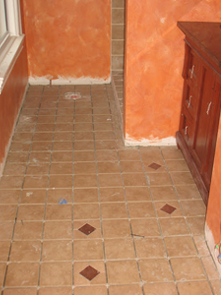 We continue to work on our latest renovation project. Pray that this work is completed quickly and smoothly. To purchase abandoned properties and vacant lots. To restore abandoned buildings owned by WCH to a condition suitable for housing. To encourage and assist low to moderate income people to live in Wilkinsburg by making restored properties available to them for sale at reasonable prices. 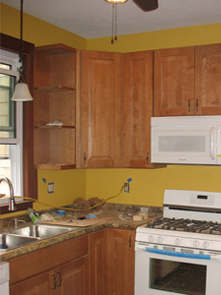 We are currently restoring a home in the Princeton Park neighborhood of Wilkinsburg. Wilkinsburg Christian Housing is an outreach ministry of Covenant Fellowship Reformed Presbyterian Church, located at the corner of Swissvale and Hill Avenues in Wilkinsburg. The Board of Directors is composed of members of Covenant Fellowship, with additional members from the local community. Autumn Butler, a resident of Wilkinsburg, serves as the executive director of the ministry. 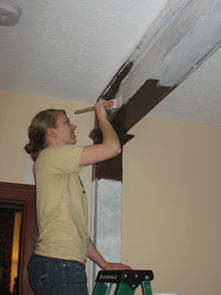 Pray for us as we finish work on our current renovation project, a home in the Princeton Park section of Wilkinsburg. Look for more information here about the property as it nears completion.